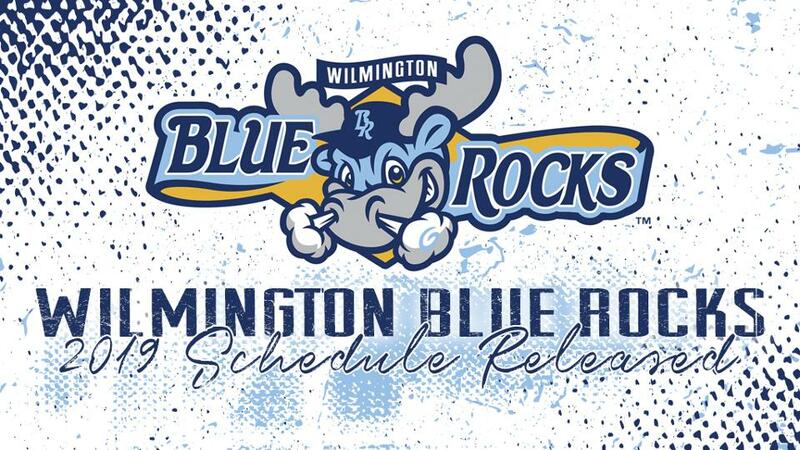 Wilmington, DE-- The Wilmington Blue Rocks released their 2019 schedule on Thursday. The team will open its 27th season at home on Thursday, April 4 against the Salem Red Sox and will close the campaign at Frawley Stadium with a Labor Day weekend series versus the Myrtle Beach Pelicans. It marks the second time in three years the northern-most team in the Carolina League both starts and finishes the season at home. Wilmington plays its most home games during the month of August with 15. The team will play 14 times at Frawley Stadium in the months of April, May and July. Its fewest home affairs in any month will be June when the Blue Crew has just 11 games at the friendly confines of Frawley Stadium. Perhaps the oddest quirk of the 2019 slate is Wilmington will face the Winston-Salem Dash nine times in its first 21 games, but then only three times over the final 119 contests. The Blue Rocks will announce game times and their full promotional schedule later in the offseason. The Blue Rocks recently announced a two-year extension to remain the Advanced-A affiliate of the Kansas City Royals. Season seats for the 2019 season will be available on October 18, while mini plans go on sale November 1 and groups packages are purchasable starting November 8. For more information the team's website is BlueRocks.com.